CERTUM Premium EV SSL Certificate is an EV (Extended Validation) certificate which provides the highest level of security and authenticity. With one CERTUM Premium EV SSL Certificate you can secure up to ten domains providing the highest level of trust and security. 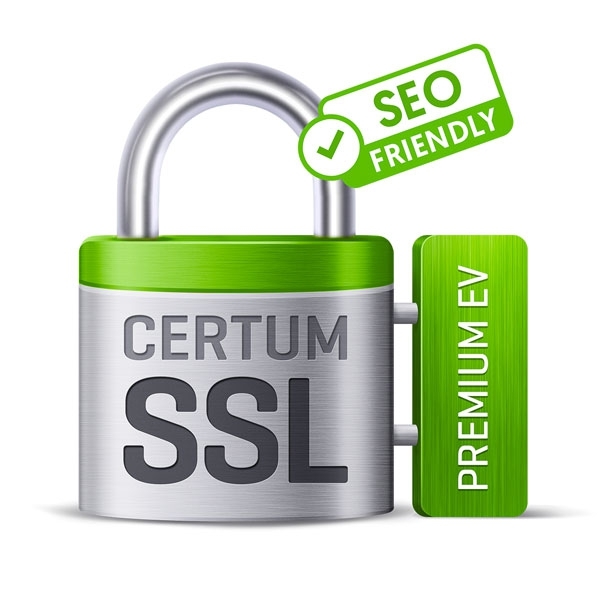 CERTUM Premium EV SSL Certificates are for companies, organizations and public administration institutions. The websites secured with the Premium EV SSL Certificate are displayed with a green website address bar in the browser. Additionally, the website's owner personal details are visible. Certum SSL Certificates support hash algorithm SHA-2. NOTE: CERTUM products and services are prohibited for export or re-export to Syria, North Korea, Sudan, and Cuba. The process of verification and documents required during purchase of SSL Certificate are located here.